Andy Reid returns to Philly with the undefeated Chiefs. Philly’s defense is not good. They’ve given up an average of 460.5 yards per game over the first two weeks. The Chargers and Redskins are the only two defenses that have allowed more yards. The Chiefs on the other hand have a pretty solid D, but I think the up-tempo attack of the Eagles will prevail here. Philip Rivers is looking sharp and the Titans are not. A league-worst 123 passing yards a game isn’t gonna cut it. Chris Johnson’s been dancing too much behind the line of scrimmage, Kenny Britt seems to realize his time in Tennessee is done, and Jake Locker’s only completing 56 percent of his passes. The Chargers have put up 61 points in two games. San Diego spoils Tennessee’s home opener. Good news for the Browns – Josh Gordon is back. Bad news – they traded away their best offensive player. 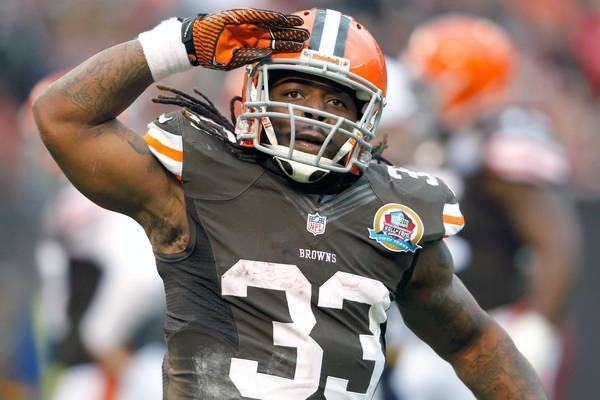 Trent Richardson will miss the start of the Hoyer era. Dude found out he was a Colt while listening to the radio. Stay classy, Cleveland! The Vikings don’t look all that threatening, but the Browns seem to be playing for next year just two weeks into the season. The Pats offense has looked a bit weak so far, but they’ll get it together. The Ravens may be without Ray Rice which is bad news for a team that’s only averaging 2.8 yards a carry. The Texans can outscore this bunch. These two teams are pretty evenly matched, but I like the Rams here. They’ve looked pretty solid so far, and I think they can take one in Texas. The Saints play different in the comfort of their own dome. They should take this one without too much trouble. Shootout city. The Redskins have the worst defense in the NFL. They’ve allowed 511.5 yards per game so far. Yikes. The Lions can score in bunches. With or without Reggie. Take the over and watch the fireworks. The Packers have one of the most explosive offenses in football. The Bengals beat up on the Steelers at home, but their defense is going to have a difficult time bottling up Green Bay’s multiple offensive weapons. Two 0-2 teams try to turn things around, someone’s gotta win, right? I think the Giants are the better winless squad. Toughest game of the week to call. Are the Fins for real? Can they contain Atlanta’s passing attack? Can the Falcons get production out of their backup RBs with Jackson sidelined? I thought the Fins would be much improved this season, and I’m going to keep supporting their turnaround here. Luck gets a new weapon and the Seahawks proved that the mighty Niners aren’t invincible. Trent Richardson was already an angry runner. Now he’s going to be even more motivated to destroy people. I think SF wins this one, but it’ll be closer than a two score margin. What the what? Three score deficit in Week 3? Harsh bro! But the worst team in football competing up against the most legit home field advantage in the NFL? The Jags are gonna get trounced. I interviewed EJ Manuel earlier this week and when we talked about that near win against the Pats in Week 1, EJ said, “we don’t want to become a shoulda, woulda, coulda type team.” I love this guy. He’s calm, collected, unnerved. EJ over Geno, Bills over Jets. When the free agent lineman that you picked up off the street looks better than all four of your regular starters, your o-line is a mess. The Steelers need their high draft picks to show up and help. Miller and Bell won’t be factors this week, but DeCastro and Adams need to start living up to their pedigree. Jarvis Jones too. Pittsburgh’s offense is a mess: nowhere to run, Haley’s getting yelled at by the team’s best wide out, Ben needs more freedom to run the no huddle and call his own plays, etc. It’s tough times all around in Pittsburgh, and the offense shoulders the bulk of the blame. I want to believe they can turn it around, but I really do have my doubts. Steelers as home dogs shouldn’t happen though. The Broncos look scary good and the Raiders look borderline competent. This spread seems to fit just right. Denver can take away Oakland’s biggest strength. The Raiders lead the league in rushing and the Broncos are first in the league against the run (that’s what happens when you build large leads early). It all adds up to more time for Peyton to wreak havoc. Print article This entry was posted by Chris Stout on September 19, 2013 at 5:32 pm, and is filed under Photos. Follow any responses to this post through RSS 2.0. Both comments and pings are currently closed.